Every now and then I read a book that sets all my senses tingling with the brilliance of it. And this is why I wanted to write my review in a different way than normal. I don’t just mean that the characters are so multi-layered and rounded that I can empathise with them. Or that the descriptions give a wonderful sense of place that make the settings easy to envisage. Or that the plot makes a story that is innovative and original. Not Thomas is narrated through the point of view of the protagonist, Tomas. He’s five years old. And, because of this, the narration and his dialogue are simplistic and poignant; the words jump off the page as those of a five year old child. And it works so well. Sara Gethin has an usual talent for seeing through the eyes of a child and I love her style of writing. Without giving any spoilers to this superb novel I will say that, despite the simplicity of a lot of the narrative, this is a dark, compelling story with a gripping plot. I could see this as a television drama. I thoroughly recommend Not Thomas. I’m not ashamed to say there were moments when I cried reading this story, sometimes in a sad way but sometimes, as Tomas would say, when “my mouth was laughing”. I’ve had the pleasure to meet Julie at last year’s Bloggers Bash and seeing her again this year reminded me that I still had her book on my kindle. This weekend’s sunshine provided me at last with an opportunity to indulge in this very accomplished novel. What I’m talking about is a very well-written thriller set during a holiday trip to Turkey, catering to single holiday makers. You might immediately assume that this is chick lit territory, but that would do the character depth and writing style grave injustice. While certainly appealing to female audiences this novel doesn’t limit itself to pure light-hearted romantic interests but visits darker sides of the dating game and crime. 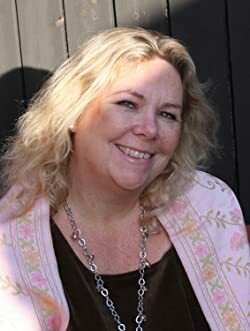 Always engaged with the written word, Julie Lawford came to fiction late in the day. Following a career in technology marketing she has been freelance since 2002 and has written copy for just about every kind of business collateral you can imagine. By 2010, she was on the hunt for a new writing challenge and Singled Out – her debut psychological suspense novel – is the result. Julie is based in London in the UK. Whilst penning her second novel, she still writes – and blogs – for marketing clients. Connect to Julie Lawford at her website and on social media. Saturday, June 10th 2017 was the date for The Third Annual Bloggers Bash which, like the previous two years, was held in London. And, what a day it was. Of course, as a member of the committee, I’m bound to say it was a success and that everyone who attended had great fun, but don’t take my word for it! No, allow me to introduce you to some of those who attended the event and hear what they had to say. Click here for the links to all the blogs of those who attended and who feature in the video. Today I have a special treat: A book that truly swept me away, and by surprise, too. I’ve read several of H A Dawson’s thrillers in the past and absolutely loved them. But this is definitely my favourite. The psychological tension drips from every page from the word go, long before I even understood what the plot was going to be like. Some writers just have that talent to keep you interested, almost as if they could quote from the phone book and you’d still be paying attention. It’s a gift. The narrator in this novel, nurse Shona concedes some fascinating thoughts and details about her life, such as the relationship to her late father, whom she lost at the tender age of 5. I’m a big fan of psychology but not always of psychological thrillers. Dawson brings in a lot of analytical insight into her narrator, through own reflections and through the presence of friends who try to assist her in solving the problems in her life and the riddle of our plot. When a seemingly random patient tells Shona a completely different version about her father’s passing the intriguing mystery intensifies and we’re moving towards the exact plot. It’s one of the best signs of a psychological thriller when there isn’t a murder or a death yet the sense of an impending threat or danger is omnipresent. As we’re trying to disentagle a web of lies and deceipt we have to question almost everyone’s motivation. Who is telling her what and for what reason? Who can she trust and believe? What happened to her father and why was she lied to about this in the first place? I had anticipated one of Dawson’s wonderful mysteries and was swept away by this breath-taking and truly addictive master piece of a thriller. Intelligent, well written and with a fair share of surprises this is excellent and highly recommended. One of the best books I’ve read in a while. When your profession compels you to help people should you ever refuse a dying person’s pleas? A nurse is an unwitting accomplice to a patient’s scheming. The subterfuge and manipulation have regrettable consequences as this mystery of a dead son unfurls into a family catastrophe. How would you feel trapped in a cage because you threw away the key? Shona is a conscientious and compassionate nurse, and her character directs the track of this mystery. The desire to care for this terminal cancer patient pushes her into a situation where the suspense squeezes so intensely that you cramped for breath as you feel this gentle lady’s anguish. Nurses are not prone to brash actions, but Shona’s bound by emotional chains, dragged along by a patient’s desire for restitution and revenge. In wars, there are no winners as everyone must endure the inevitable devastation. A gripping British suspense with a disturbing moral dilemma and a twist so vicious your mind will scream! This author takes pride in presenting the reader with a strong theme immersed in dramatic content. Are you a calm person who can handle friends and family members when their behaviour becomes unreasonable? Then you have a stable psychological profile, but would you betray yourself or stick to your principles come what may? 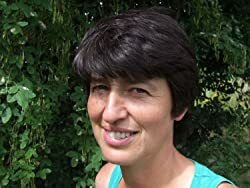 Honor is a British writer living in the Fenlands of Eastern England, she spent 20 years in IT as a software developer and systems analyst for one of the U.K’s largest banking groups. This professional background has provided the understanding, patience and diligence to write full length novels. Characters in her books are formulated from the places, people and situations she encountered while trekking into the unknown. This year the Bloggers Bash hosted a writing competition, the theme was connections. We had some fantastic entries, and today I am announcing the winners. In first place with a chilling, visually stunning entry is Ellen Best click Ellen’s name to see the entry and the rest of her website. She sat, on a low wall three bricks high. A wall that once was tall now a crumbled remnant beside the main road. She wore wrinkled long socks, one higher than the other they offered no protection against the easterly wind; that bitter December day. Her ditsy floral skirt flicked against the already chaffed skin; leaving pink welts. A grey knitted cardi hung from her shoulders, the sleeves fisted in her hands as she waited. Flat barren fields of East Anglia solid from the morning frost were inviting her gaze; her were eyes glassy, and wide. I notice her many times as we flashed by on the way to Norwich. Each time we’d go I would see her, with pain in her shape a stillness about her. Once we stopped at the village shop, while I waited I asked her story. The postmistress said, ” She’s about forty a local she is… not been herself since her daughter… some says she were taken and others say different.” Slowly she shook her head as she stamped my letters. “Only six she was, her girl. Where she sits, it’s where she waited that day and every one since, for the school bus to bring her; she never came home”. One occasion I stopped, pulled the car into the lay-by. I walked over and took a space on the rough wall alongside her; leaving a gap of two bricks between us, a respectful gap I thought. I gazed across the flat land as she did. “Hello, are you… Are you okay”? I felt a tug, a connection; fleeting though it was. She sat unmoved, undaunted by my presence. I felt the cold from her, saw the fogged breath, I could taste her sadness. An overwhelming urge to reach her enveloped me. Determinedly I unzipped my parka; putting it beside her, untied my wool scarf and wriggled my fingers free of the gloves. “Please, your skin is blue, take these, they’re for you.” I shouted, as the wind whistled by my ears and bit the end of my nose. The pile almost touched her chest; I began to tremble, a feeling of despair, soaked into me. Her eyes flickered as I put the clothes in her lap. “I don’t need them, can you hear me”? A pat to reinforce the point made her flinch and with a straight back but without a second glance I returned to the car. She hadn’t moved as we passed her, the bundle propped on her lap her glassy eyes staring forward; there she sat. That day, the clouds gathered so swiftly that everyone around the conference table stared at the snow. The CEO said “Due to the change of weather we will take a working lunch. The sooner I get you home the better”. I remember hoping she had put the clothes on, I wondered if anyone would relieve her… because of the weather. I couldn’t get her out my mind, her eyes, the liquid that refused to drop but puddled in her lids as if scared to fall. On the return journey we stopped next to the wall. I remember the wipers swished, the flakes came hard and fast, but she wasn’t there. Pleased to think her in the warm I began to feel better. In the spring my job took me once more to Norwich. We stopped, there, amongst the grass which grew in the crumbled brick, wedged between the cracks was bunch of brown withered flowers tied with a bright woollen scarf. The connection had forever made its mark. In second place with a tear-jerker of a memoir is Noelle Granger click Noelle’s name to see the entry and the rest of her website. I had managed to stay calm during the flight from Raleigh-Durham, but when I was met by an old friend at the airport to spend the time between my arrival and Hyung Ju’s, nervousness and excitement started to mount. The feelings left me unable to eat much of the lunch my friend bought me to celebrate. “You’d think I’d have this down by now,” I replied, pushing my food around on my plate. “I just wish Gene were here.” My husband had decided to stay at home with our three-year-old son, thinking it would be easier for our daughter to transition to one person at a time. She had lived with her birth parents for two months before being placed with foster parents by the adoption agency in Seoul. After having her for four months, this couple had wanted to keep her. When I learned that, I could only imagine their pain when she was taken away. Along with eleven other infant adoptees, she’d been cared for by another other couple during the flight from Seoul to Seattle, and yet another from Seattle to Chicago. I knew my daughter was old enough to be confused and frightened by the constantly changing faces. Other parents gathered at the arrival gate to meet their new children, but first the passengers had to leave the plane. Finally, just a cluster of remained, many whispering excitedly. When my name was called, I walked down the gangway to the plane and entered coach class. “Mrs. Granger? This is your daughter.” A young woman motioned to one of the babies in the first row. And there she was! Her foster parents had provided a traditional Korean dress with little rubber shoes and her hair was pulled into a tuft on the top of her head. She was adorable. I gathered her up and took her back to the gate, where I held her on my lap and talked to her. She looked in my eyes… and started screaming. I held her and rocked her, but the screaming continued. I changed her clothes into ones I had brought, soft and comfortable. She screamed. I changed her diaper. More screaming. I offered her a bottle. She took a sip, rejected it and continued screaming. I walked her around and around in the stroller I’d brought and then went to the gate for the flight back to Raleigh. With her still crying at the top of her lungs, we boarded our flight. She suddenly stopped crying. She put her little hands on either side of my face and looked deeply into my eyes for a long moment. There was something there, a moment of recognition, an acceptance. She leaned into my chest and closed her eyes. We’d made the connection. In third place with a fantastic final twist is Steve Tanham click Steve’s name to see the entries and the rest of his website. I’ve become a close friend of Kit and Adam de Guirande over the run of this series and enjoy seeing the world at court through their eyes. They bring distance to the events of 1327 in some ways while being fully involved in others. It’s a winning formula that allows excellent prespective to all political and historical events depicted. The imprisonment of Edward II and the crowning of a very young Edward III provide the setting for this story. The issue of the Scottish, of Mortimer’s interference and the tensions in the entire Kingdom provide the outer framework. Gifted author Anna Belfrage weaves in the characters with their great personalities, paints the picture with excellent descriptive details and shows the tragedy and human element in all that happens. Anna Belfrage knows her subject in and out and reading her historical notes at the end is always informative. Having watched “Edward II”, the film by Derek Jarman several times, I have a particular fondness for his story and that of his successor. Queen Isabelle and Mortimer are great characters whom you will love to hate. I’m pleased to learn that this saga will continue with yet another book. I can’t wait. Had Anna been allowe d to choose, she’d have become a time-traveller. Instead, she became a financial professional with two absorbing interests: history and writing. Anna has authored the acclaimed time-slip series The Graham Saga, winner of multiple awards, including the HNS Indie Award 2015. Her new series, The King’s Greatest Enemy, is set in the 1320s and features Adam de Guirande, his wife Kit, and their adventures during Roger Mortimer’s rise to power. The third book, Under the Approaching Dark, was published in April of 2017, and the final instalment will be published early 2018. I must say that I had my doubts that I could learn much from a book about book fairs, having organised a few and having participated in many. I read the book more out of curiosity than out of a feeling that I needed to improve my sales or presentation techniques. Well, I’m not afraid to admit that I was very wrong. I agree with the author of this review. Watkins makes you take a step back from the idea that the highest number of books sold are the only way to measure success of your participation in a book fair or that even selling books was the sole purpose of you going there in the first place.